West Coast reminded Fremantle who is the king in the west but the young Dockers showed the Eagles’ crown is a bit shaky in a combative Western Derby on Saturday night. The Eagles got home by 13 points, 10.9 (69) to 7.14 (56) in a match where Fremantle had control for long periods in front of a home and away record crowd of 58,219 at Optus Stadium. However, familiar issues with haphazard ball movement, shoddy skills and questionable decision making prevented the Dockers taking advantage of their dominance around the ball. They kicked just one goal to half-time with a malfunctioning forward set-up still coming to terms with big changes in personnel in the off season. In contrast, West Coast was far more efficient at the other end and cleaner with the ball all night when it mattered. 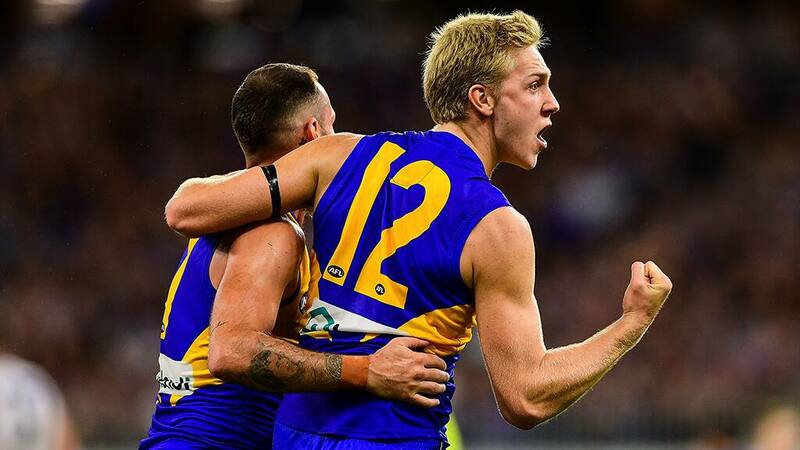 With Andrew Gaff running riot and their key forwards making the most of their chances, the Eagles sprinted away to a 26-point quarter-time lead and were never headed. Gaff’s first Derby since he punched Andrew Brayshaw and received an eight-match ban was a roaring success. Eagles fans’ pointed cheers managed to drown out the Docker boos and in the blink of an eye Gaff had 10 first-quarter possessions and the Eagles had five goals on the board to nil. By the end of the match he had 35 to go with the 35 on his return against Collingwood in round three. He was shaded for best afield honours by skipper Shannon Hurn, who won the Glendinning-Allan Medal.